I received a surprise from my dear friend Zippy this week, lovely flowers from the Better Homes and Gardens collection from FTD. 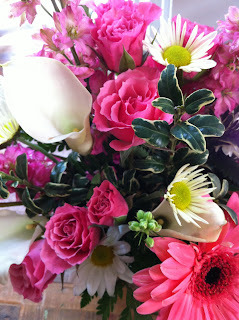 Actually, it's an extra-special surprise because I ended up getting two arrangements! Here's what happened. The florist tried to deliver the first arrangement while we were in New Jersey but I had to schedule redelivery when I got home. I think they delivered the same arrangement, three days later. The flowers were pretty but a little wilted. 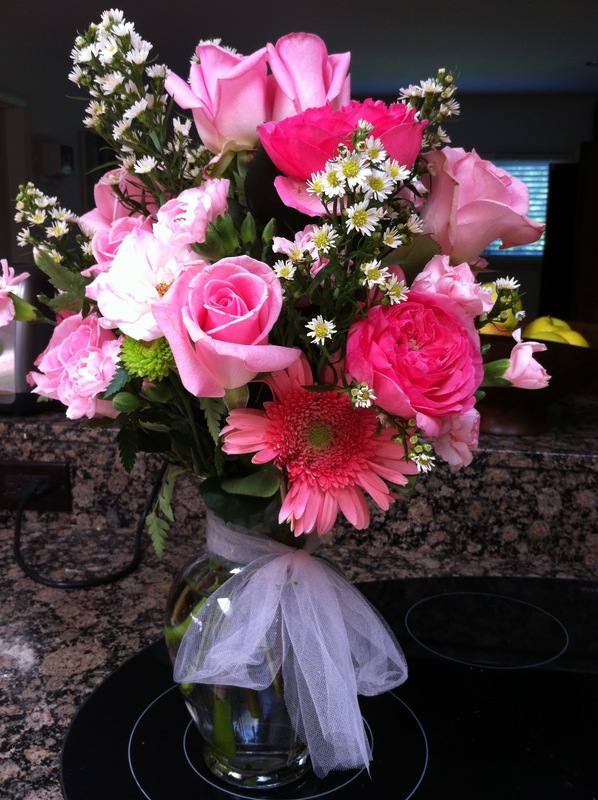 I mentioned this to my FTD contact and they sent a replacement arrangement, via a different local floral shop. I think it's more "me," what do you think? 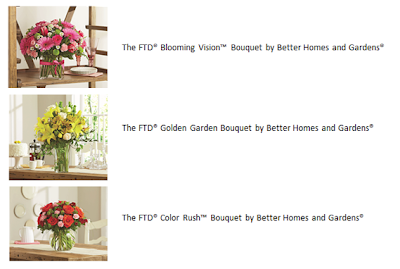 FTD has been America's flower expert for over 100 years and is a go-to source for Mother's Day gifting. Their Better Homes and Gardens collection features “Editors’ Choice” arrangements, designed by BHG editors. Each flower arrangement and plant is designed to reflect the style and elegance of the Better Homes and Gardens magazine. For Mother’s Day, all Better Homes and Gardens Flowers by FTD come with an additional gift that is sure to make moms feel even more appreciated: a free one-year subscription to Better Homes and Gardens! I especially love the idea of giving FTD potted plants, like bonsais and container gardens, because they keep giving well after the holiday is over. You might also want to check out the Mother’s Day Getaway Sweepstakes on the FTD Flowers Facebook page where, amongst other prizes, one Grand Prize winner will receive a trip for two to Morgan Bay Beach Resort in St Lucia. Prize includes a 4-night stay in a one-bedroom (double occupancy) Oceanview Suite with Morgan Bay’s all-inclusive program for breakfasts, lunches, dinners, snacks, unlimited beverages, all on-site activities, nightly entertainment, and more! In accordance to the FTC Guidelines and the WOMMA Code of Ethics, I am disclosing that I received the flowers shown above to facilitate my review and gift codes to use and give away. No other compensation was provided and, as usual, all opinions are my own. I like the Sweet Devotion arrangement. 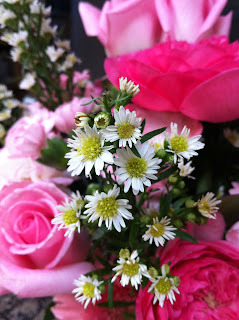 I like the Simple Perfection bouquet. I like the First Blush bouquet. What a sweet gesture! And bonus: two bouquets. I'm all about flowers around here--that's all I want for any occasion. I'd pick one of the dish gardens, like the Style Elements Dish Garden. My favorite is the Deep Emotions. The FTD® Flowering Fuchsia Bougainvillea Plant by Better Homes and Gardens is my favorite. I like the The FTD® Spring Tulip Bouquet by Better Homes and Gardens®. 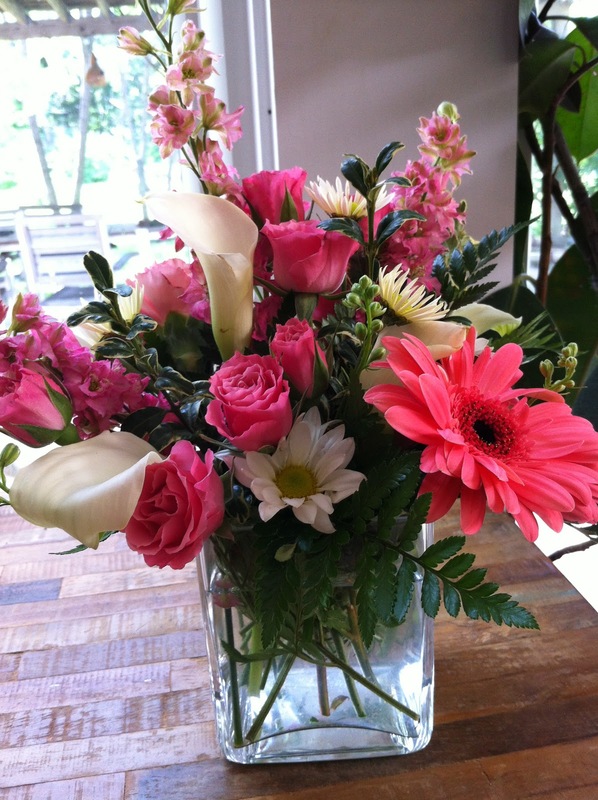 Love the FTD Breathtaking Beauty Bouquet by Better Homes and Gardens! I love the The FTD Deep Emotion Bouquet by Better Homes and Gardens!